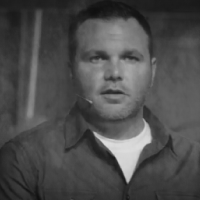 As the father of two beautiful girls, I can certainly relate to the passion and instruction Mark Driscoll provides for how fathers should love their daughters. Good, practical, heartfelt advice. You are so right! I viewed that sermon segment the other day, and I was blessed by it. If we truly look at our children and spouses through the lens of the love that we have for them, and we use the Bible as a guide for our actions and interaction concerning them, it seems that things become so much more simple.